Design, manufacturing, assembly, and ecommerce logistics for three frame styles. 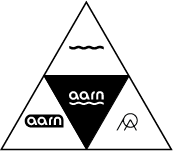 The initial production offering for AARN PLASTICS (Eyewear). Production, editing, and scoring of video. Conceived in 2012 as an independent research project studying the design of cellulose acetate eyewear and its traditional manufacturing techniques, AARN PLASTICS is the eyewear design and production division of the design and engineering practice of Aaron Panone/aarn. Frames are handmade from the highest quality NOS Italian cellulose acetate, built around precision German hardware, and come stock fitted with Zeiss CR-39 lenses. Materials are processed using a combination of traditional and contemporary manufacturing processes and mechanical finishing techniques. All design and production occurs in a small workshop in Massachusetts, USA.